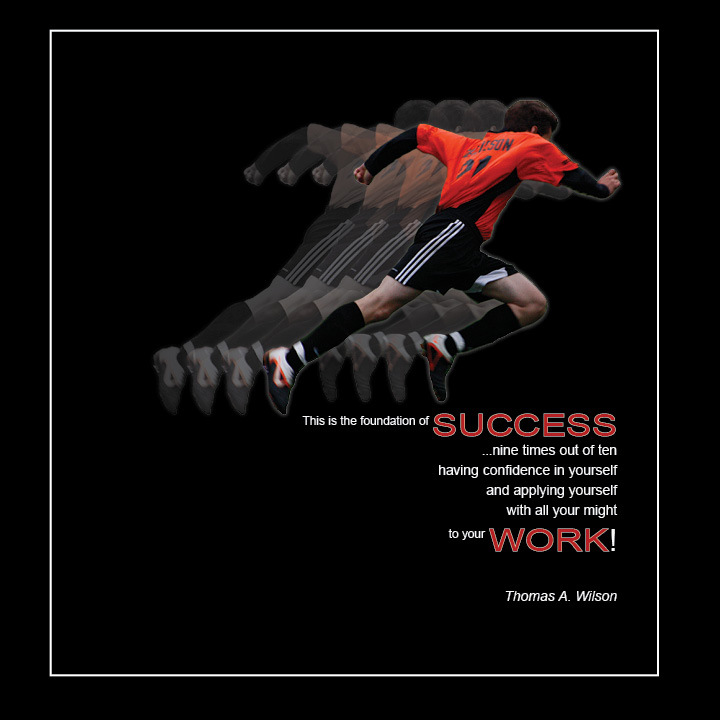 This was designed to showcase this quote on the importance of work in relation to success. With Adobe Photoshop I extracted the picture of my son playing soccer and then copied it several times reducing the opacity to give it the tremendous forward momentum that he was showing. I then used Adobe InDesign to layout the quote and picture together. Success really is about being confident and working hard!